Colleges and Universities see GRN Coastal’s College hire program as an extension of their internal programs. 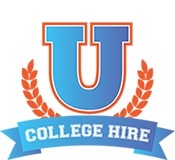 They are delighted to have us working with them to help their students secure their first professional role beyond college. They welcome our assistance. GRN Coastal has partnered with dozens of Colleges and Universities all across the United States. We have business clients in every major market in the country. We have established working relationships directly with Career Placement offices and Athletic Departments. Together we work to find top talent….. top positions. Our U Edge program designed especially for graduating seniors helps your students get a job…quickly. GRN Coastal would like to give your student athletes the competitive Edge they need to succeed in the job marketplace. We would like to become a Service provider and Advisor to your University. We will not only work with the athlete’s one on one as their advisor but we can also connect them with our client’s one on one. Although everyone wants to play professional ball, the reality is that very few will have that opportunity. That is when our Athletes Edge program can become a real asset to your program after the games are over. Current year hiring landscape. What employers are looking for. Please contact GRN Coastal for program pricing at 508-589-6022.